Cape Town ranks (on my list) as one of the world’s most spectacularly situated cities, alongside Rio de Janeiro, Vancouver, San Francisco and Sydney. Its location, fronting an impressive bay and backed by the magnificent Table Mountain, is simply stunning. 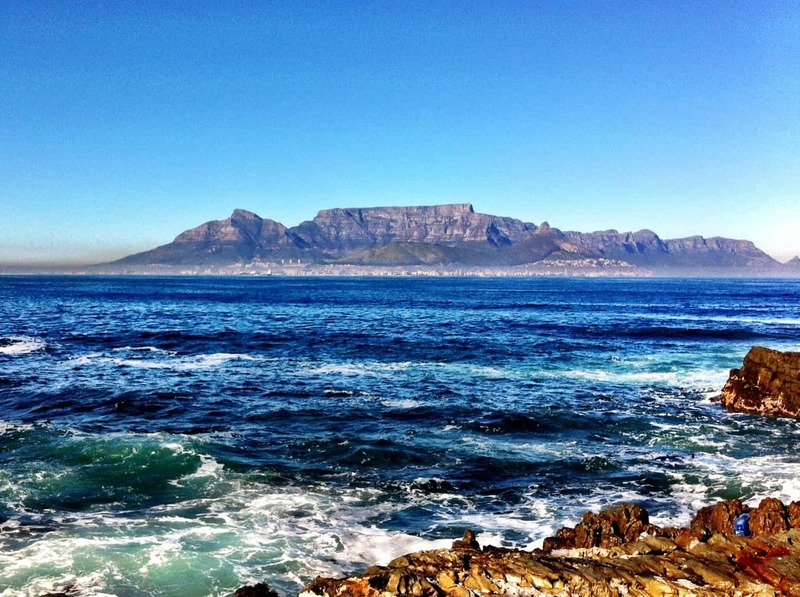 I’ve listed below ten things you shouldn’t miss if it’s your first visit to Cape Town. Take the cable-car up the Table Mountain. As the car glides up, the platform rotates 360 degrees, offering every visitor astounding views of the mountains, the city and the ocean. The lines at the cableway can sometimes be incredibly long but the views along the way and from the top are definitely worth the wait! If you’re adventurous, try hiking up the mountain. The most straightforward hike to the top of the mountain is via the huge Platteklip Gorge that runs through the centre of the mountain. The trail zig-zags in a gradual ascent and takes an average of two hours to climb. Along the way, stop to appreciate the indigenous fynbos vegetation. A trek up the mountain in spring when the fynbos is in full bloom is especially rewarding. 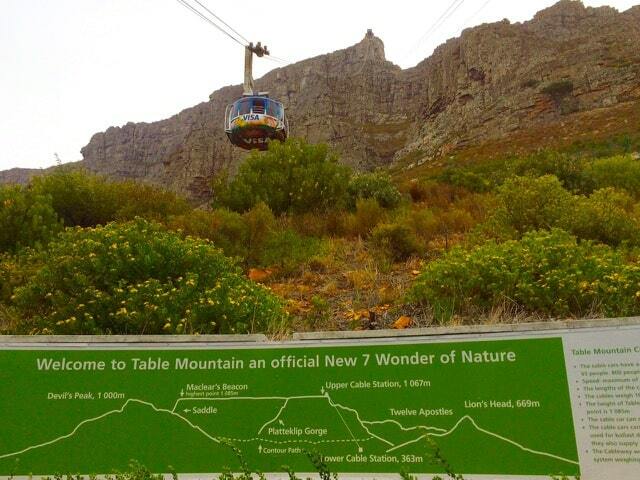 The Table Mountain Cableway is the easiest way to get to the peak. It whisks guests up to the peak within minutes. Visit the V&A Waterfront. It’s a great spot to spend the day. The harbour-side setting is stunning while there are many shops, cafés and restaurants to keep visitors busy. Stop by one of my favourite shops: Nwengya Glass and get a truly authentic glass souvenir. Sit at a terrace and watch various artistic groups perform throughout the day, or visit the impressive Two Oceans aquarium. Take the boat from the V&A Waterfront to Robben Island. The island was for many years a prison camp. It was here that many political prisoners, including Nelson Mandela, were imprisoned during South Africa’s apartheid regime. The Robben Island museum is absolutely worth a visit while the boat ride is a great way to see the city from the water. 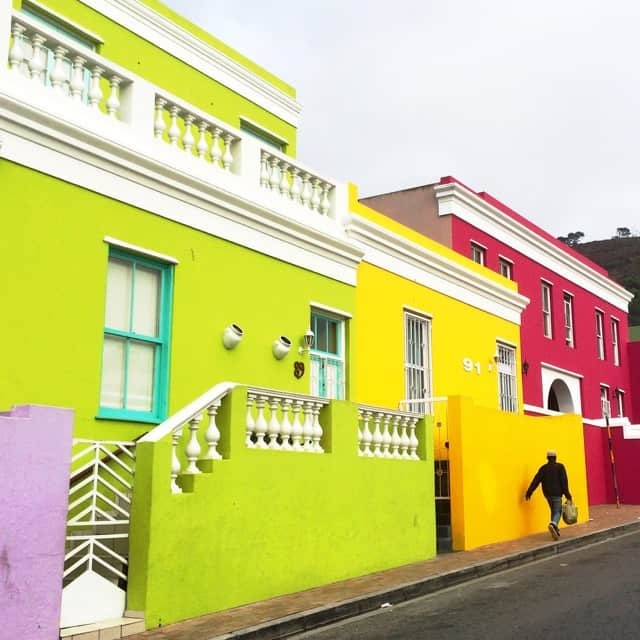 Stroll through the colourful Malay neighbourhood of Bo Kaap. This historic neighbourhood is still home to many Malays and has been lovingly restored. The vivid colours are unforgettable. Brightly coloured houses in Bo Kaap. Get down to the beach at Camps Bay. Camps Bay is a trendy neighbourhood with many cafés and restaurants fronting the beach. It’s a fantastic place to people-watch and the sunsets there are stunning! When you’re there facing the ocean, look behind you. The views from here of the Twelve Apostles (massive rock humps that form the lofty peaks of the Cape mountains) are awesome! Camps Bay in Cape Town, South Africa. 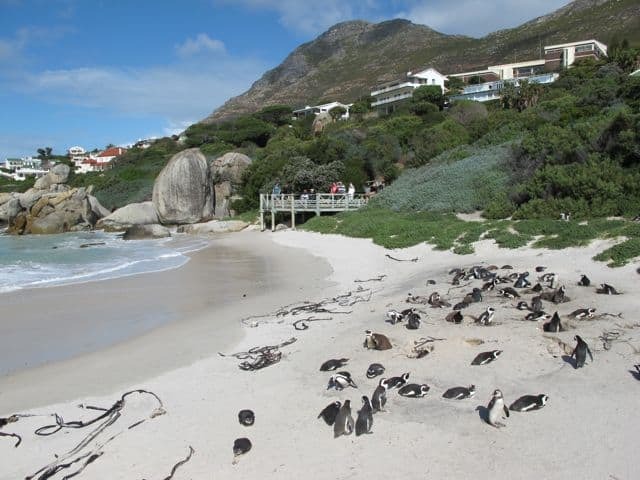 Visit the penguins at Boulders Beach near Simon’s Town. These African penguins are an endangered species so be careful and don’t get too close! It’s always a treat to see these cute creatures. Visit stunning Hout Bay. Hout Bay is one of my favourite bays in the world. It’s beauty is absolutely jaw-dropping. This large bay, with its deep blue water, is surrounded by imposing mountains, while its entrance is guarded by the magnificent Sentinel mountain. Drop by the Mariner’s Wharf for some great seafood and amazing views of the bay. You’ll most probably see some seals frolicking in the water too. Hout Bay seen from Chapman’s Peak Drive. Drive the Chapman’s Peak Drive. 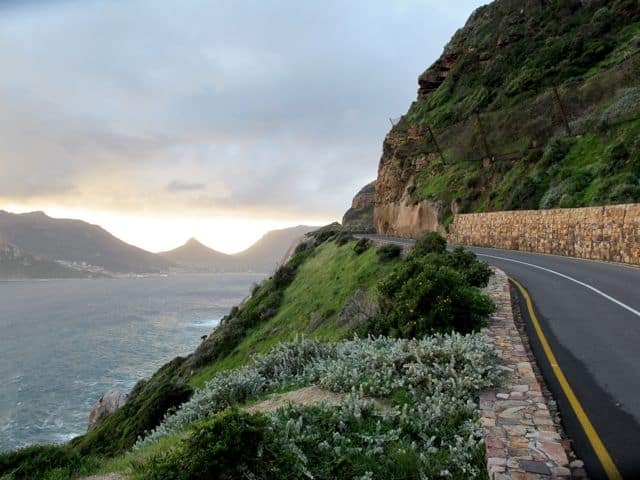 This spectacular road winds itself along one end of Hout Bay and is arguably one of the most beautiful drives in the world. Drive slowly and make regular stops to enjoy the grand views. During the spring/early-summer months, grab your binoculars – you might spot some whales in the bay. 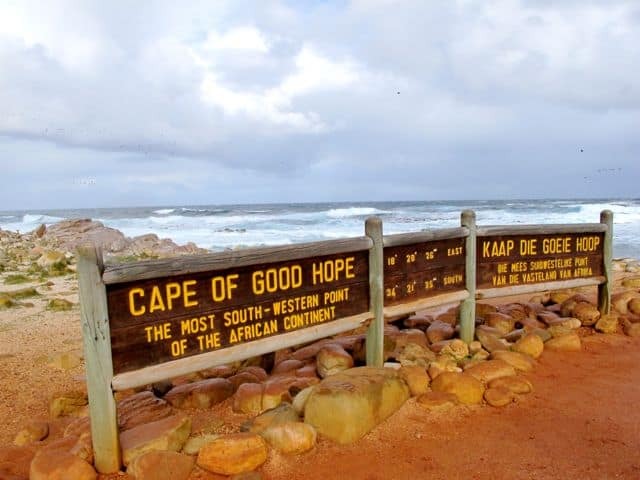 Head out to Cape Point and to the Cape of Good Hope. This is not the southernmost point of the African continent (it’s the south-westernmost point) but it certainly is one of the most famous spots in the Western Cape. The views from the lighthouse over False Bay and the two oceans are stupendous. Along the way, you may be greeted by baboons on the roadside. Slow down, don’t wind down your windows and don’t get out of the car. They can be quite vicious! Heading back to Cape Town, follow the road via Scarborough and Misty Beach. The scenery is stunning! Along the way, stop at the open-air stone sculpture park – you can’t miss it. Make a quick stop along the Scarborough beach and grab your binoculars. If you’re lucky, you may spot some sharks lurking off the coast as the waves roll in. 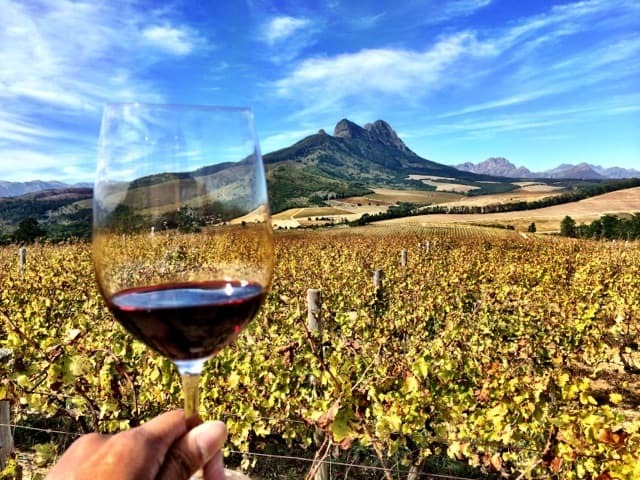 A visit to the Western Cape wouldn’t be complete without a wine experience. If you’re only staying in Cape Town and have no time to explore the winelands around Stellenbosch/Franschhoek or further inland, I recommend touring the Cape’s oldest winelands in the Constantia Valley, just minutes away from Cape Town. There are a variety of wineries that are certainly worth a visit. One of them is Groot Constantia. Housed in lovely Cape Dutch buildings and surrounded by beautiful gardens, this historic estate is simply gorgeous. 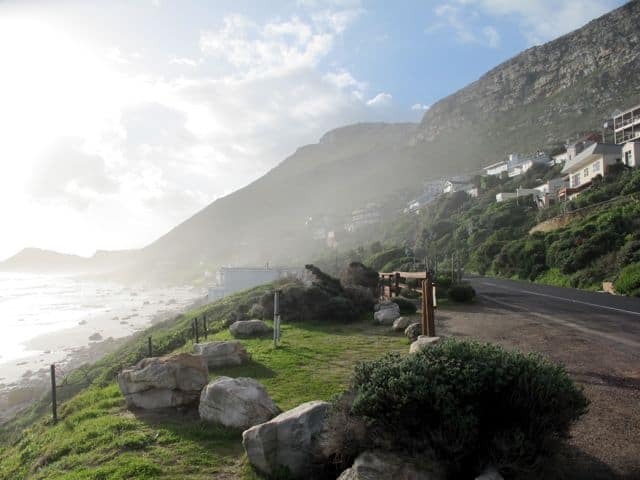 Tip: You can combine points 5-10 as part of a 1-2-day drive from Cape Town along the Cape Peninsula loop. Check out car rental rates. If you love markets, check out the Saturday market at the Old Biscuit Mill in Cape Town or the Bay Harbour Market in Hout Bay. The market at the Old Biscuit Mill. I loved the colourful art in this shop at the Old Biscuit Mill. 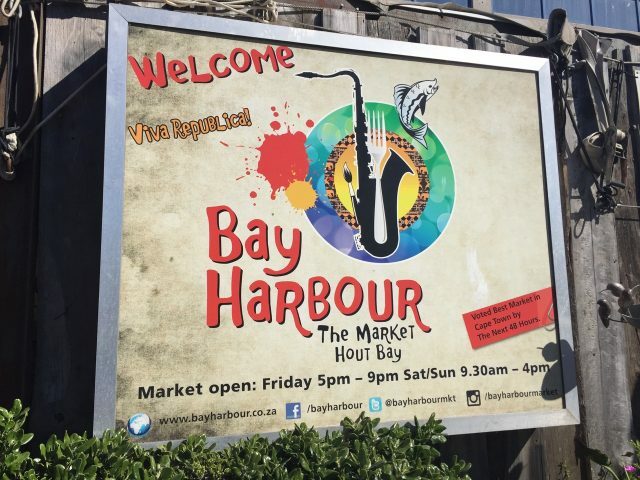 The Bay Harbour Market in Hout Bay. Lots of shopping and food at the Bay Harbour Market. 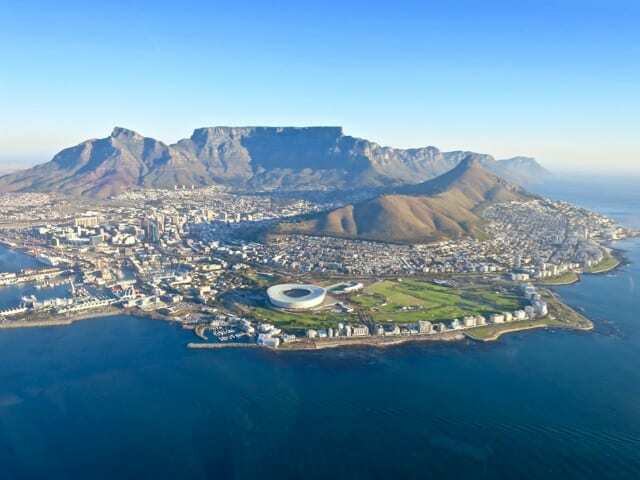 And if you’re looking for something truly spectacular, go on a helicopter tour of Cape Town! Views from a helicopter tour over Cape Town. If you have a bit more time, I highly recommend staying a few days in the Cape Winelands of Stellenbosch and Franschhoek. There are many things to do and see in this region including, of course, visiting gorgeous wineries and indulging in superb food! Read about things to do in Stellenbosch and about my favourite Stellenbosch wineries. A full-bodied Pinotage and jaw-dropping scenery in Stellenbosch. 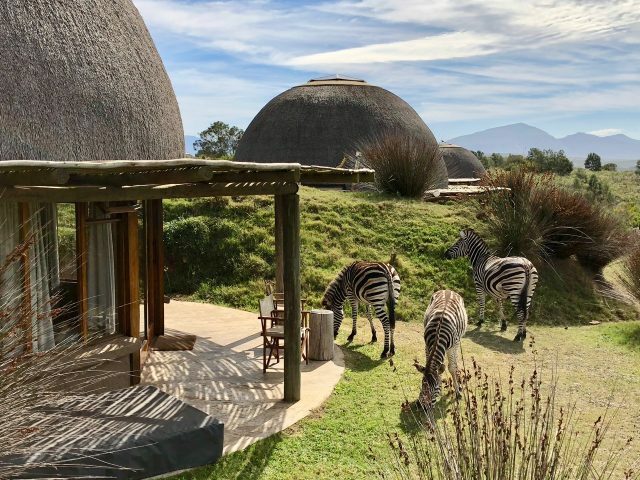 If you’re looking for a Big-5 safari near Cape Town, check out the Gondwana Game Reserve, which is about a four-hour drive away. Read my post on the Gondwana Game Reserve. Zebras grazing outside a Kwena Lodge suite at the Gondwana Game Reserve. -When in Houtbay we saw the rare site of a sea black of seals chasing fish on to the beach. If you don’t see seals, you can take a boat to seal Island. Visit Tea bag design in Houtbay and you will understand why there are teabags lying around to dry in the sun all over Houtbay. -Fill up your picknick basket and enjoy the summer concerts at Kirstenbosch Botanical Garden. -Visit some projects on a township tour with Jorvan Community Outreach and do your bit to make the world a little better. At Houtbay we had the rare side of seeing a sea black with seals who were driving the poor fish to the beach. There were hundreds of fish on the Houtbay beach. Locals told us this was absolutely rare. If you don’t see seal, you can take a boat out to seal island. Also visit Teabag design at Houtbay. That explains why you see teabags drying in the sun all around Houtbay! -When in Rome do as the Romans do. Bring your picknick basket and visit Kirstenbosch Botanical Garden for the summer concerts. When in Kirstenbosch: close your eyes and experience the Garden for the Blind. -BoKaap: you can also do the Cooking Safari and end up cooking in somebody’s home. Take a stroll down Long Street city centre, with beautiful Victorian buildings, quaint antique shops, galleries, comfy restaurants and go to the nearby market on Greenmarket square. Visit the Castle of Good Hope built between 1666 and 1679 by the Dutch East India Company. This is the oldest colonial building in South and a must see. Cape Town is my favorite city, it is stunning and has so much to offer. I would also recommend hiking up Table Mountain. There are trails of varying levels of difficulty to suit all types of people. I’d also recommend the penguins at Boulders and having a sunset drink at La Med on Clifton Beach for some panaromic views of the Ocean and Mountains. You have to jump in the ocean water while you are there as well. Extremely cold! The view from the top of Lion’s Head is pretty awesome also. One of my favorite cities. great article.. and love the pics.. just makes you want to love cape town more.. boulders is def my favourite.. love it..
Cape Town is really a best metropolis city of south africa and its beauty,most beautiful beaches are really the amazing things. Taking a flight down from Lion’s Head on a tandem paraglider to land at Camps Bay beach is an awesome Cape Town experience and truly unforgettable. Brilliant! We’ll be heading there in 2 weeks time, looking forward to a great time. Thanks for the tip! One of my fave cities too. I feel happy just being there! Thanks for the fab tips Wouter. Definitely off-the-beaten path, though the shark cage dive is starting to become rather mainstream for crazy, thrill-seekers! One of my fav cities in the World! Rent a convertible and drive to Worcester to go sailplane flying. The guys over there love to tkae you up for some Rand. Visit Murati wine estate, not touristic like the others, but it’s the oldest and has the wonderful Ansela vd Kaab red wine. Go to Hermanus, take a boat and get submerged in the cage. The Great Whites are waiting for you. Oh dear I really want to go back again. Cheers and tx for the stroll through memory lane. someone says that its a lot of fun going in that place, a lot of things to do and a lot of place you can go by to enjoy your vacation. Thanks for this informative post, Keith! Cape Town is on my list of future destinations. Now you have inspired me to go sooner and experience it! I did a lot of what was mentioned in the article and Dorothee’s comments. District 6 and township tours are for anyone who wants to learn about South Africa beyond the gorgeous scenery and delve into its political and social issues. Boulder Beach is phenomenal because of the penguins. Not in Cape Town proper, but a nice 45 minute drive out. Prices there are great too! Thanks for the fab comment and ditto tips Dorothee! I totally agree. I wrote this article with the first-time visitor in mind. You’re absolutely right: Cape Town has so much more to offer. Each time I visit, I feel so at home. I love it there! These are just a few additions. Cape Town has SO much to offer and could easily fill 6 pages of what to do. It truly is a city that offers something for everyone!